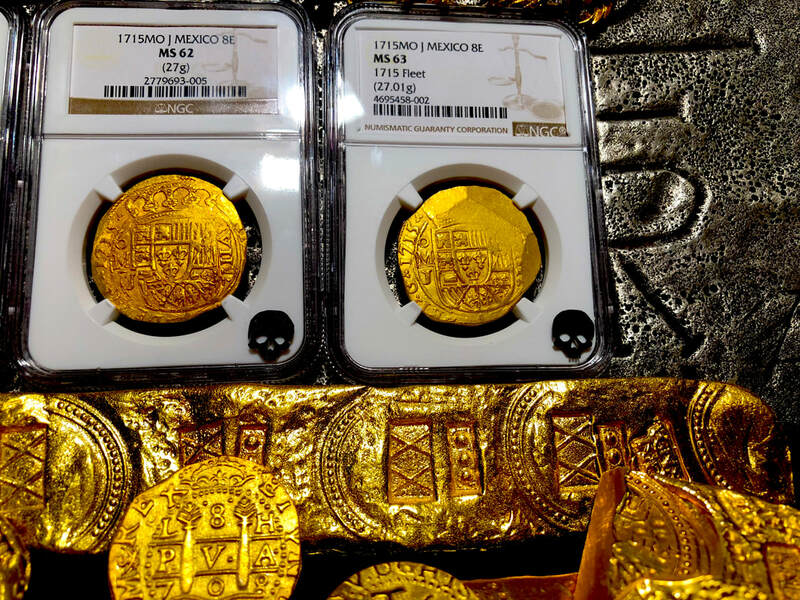 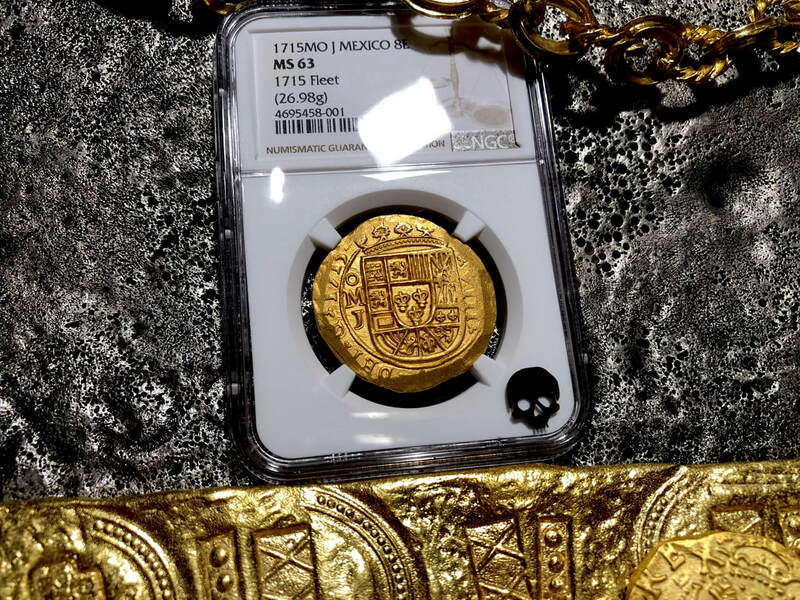 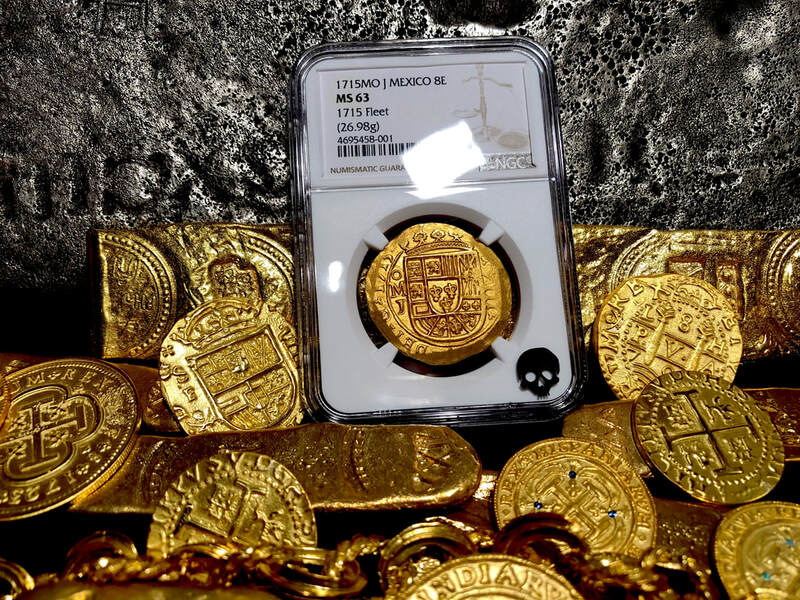 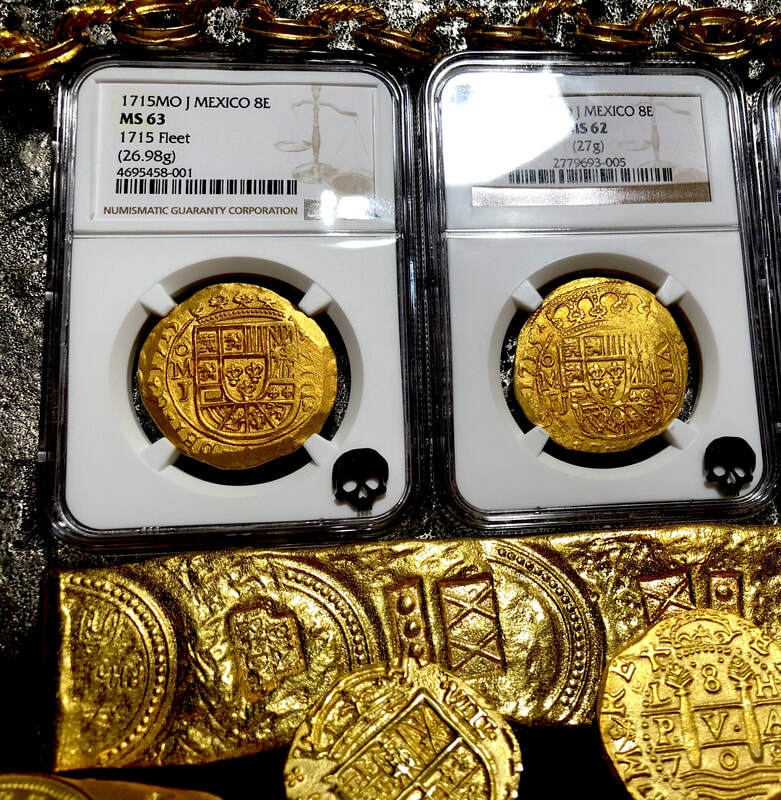 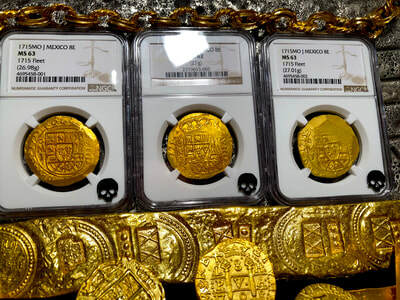 MEXICO 1715 FLEET SHIPWRECK 8 ESCUDOS NGC 63 GOLD PIRATE TREASURE COB COIN Mexico 1715 "Full Date FLEET Shipwreck” 8 ESCUDOS NGC 63 ~ full 26.98gm (2nd FINEST KNOWN! 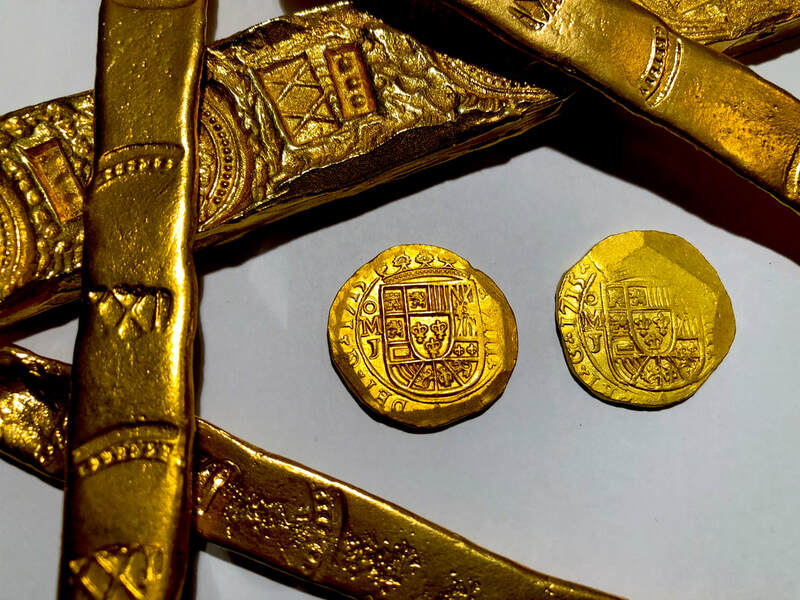 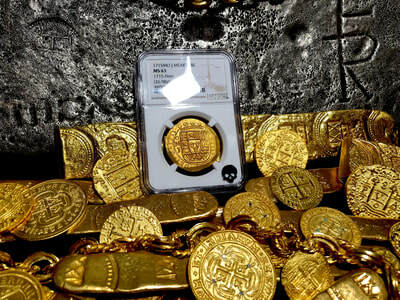 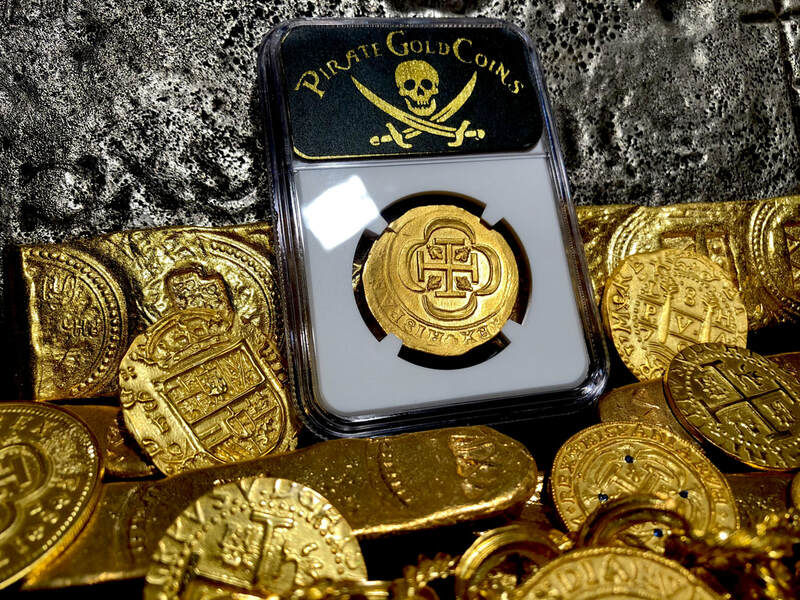 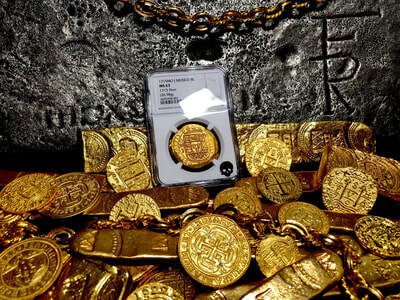 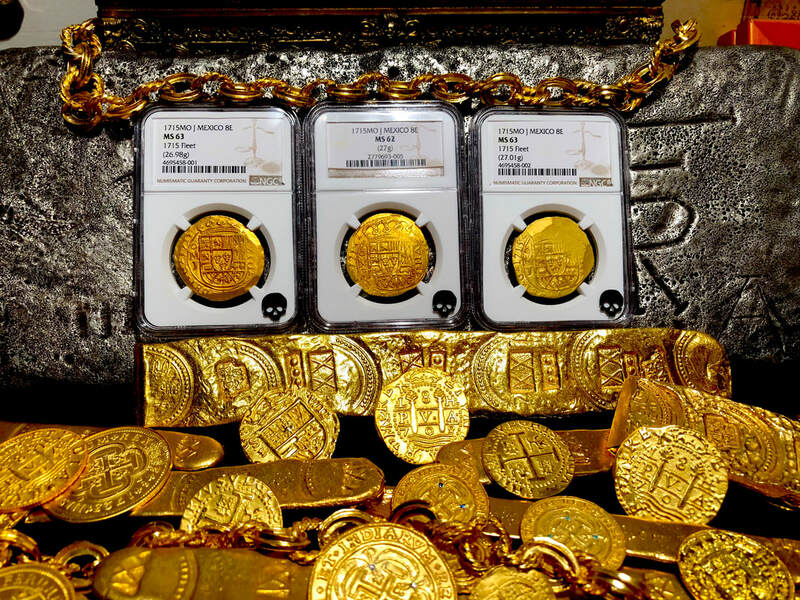 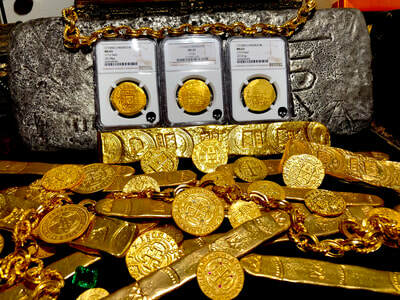 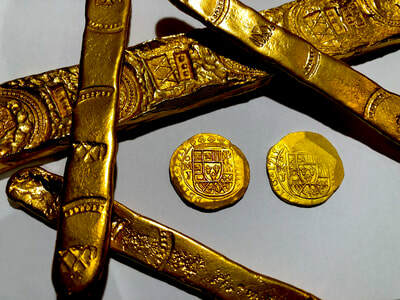 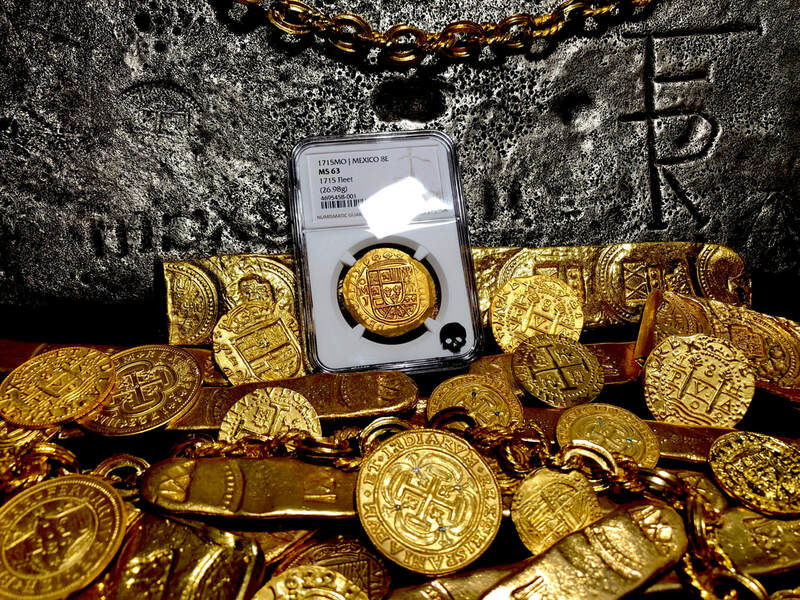 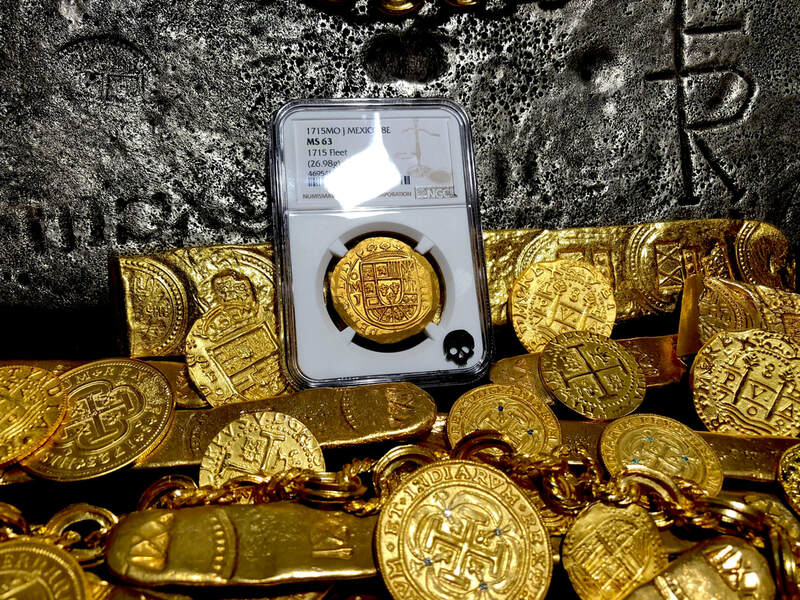 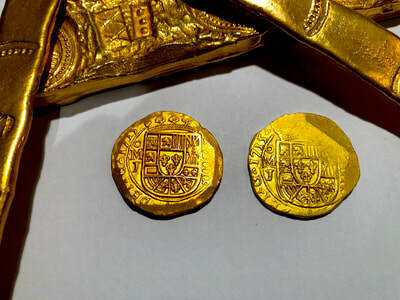 Only behind one in 64 that’s missing part of date) GOLD DOUBLOON COB TREASURE COIN ONLY 16 Total Ever Certified, and we have 8 of those offered here in our store! 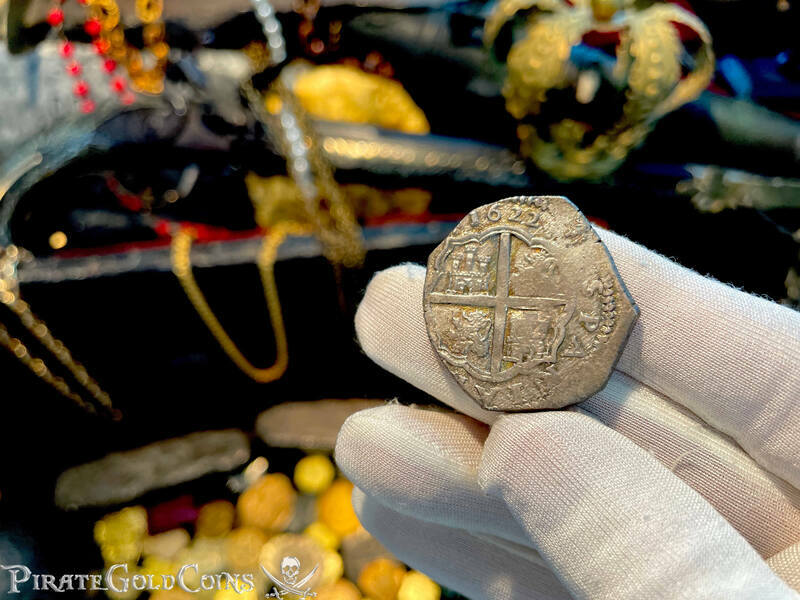 This piece has a far superior date, with approx 75% of the 4 digit “1715." This is RARELY SEEN! 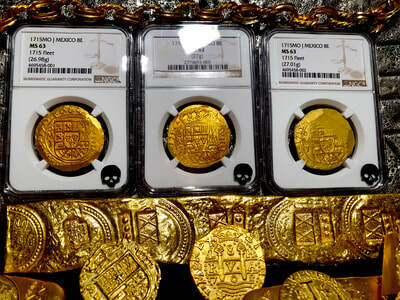 And there are only a couple even rumored to exist! 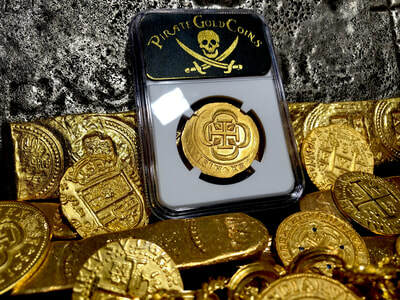 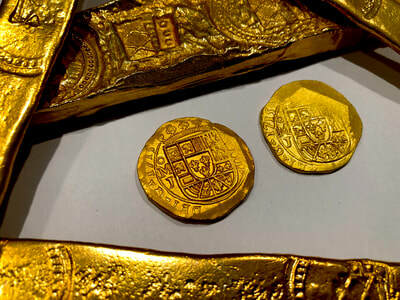 Besides the coveted “FULL 4 DIGIT DATE” this Gold Doubloon has virtually 98% of a FULL CROWN & FULL SHIELD! 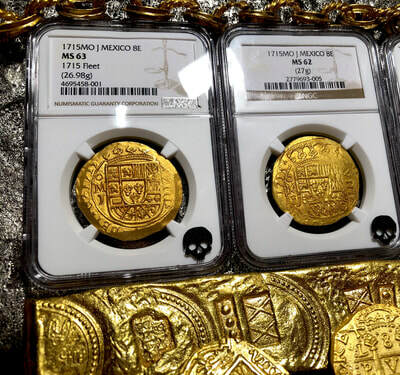 as well as FULL 100% BOLD ASSAYER AND MINT MARKS! You can even see the Denomination VIII. 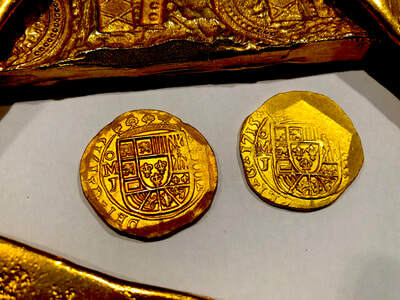 The next thing to catch your eye is the Bright Golden Luster as is consummate with the Grade! 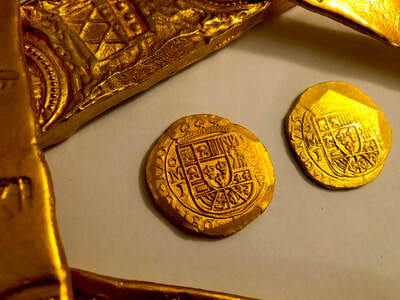 Partial Legends also are visible (DEI * G = Dei Gratia = by the Grace of GOD). 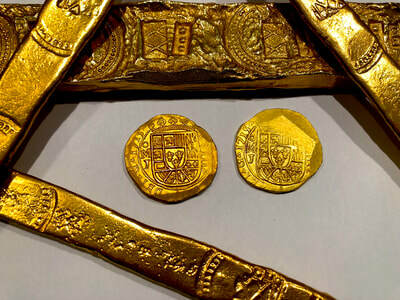 The Reverse Displays a FULL CROSS & Treasure, with portions of the Legends (REX * HISPAN), all Boldly Struck! 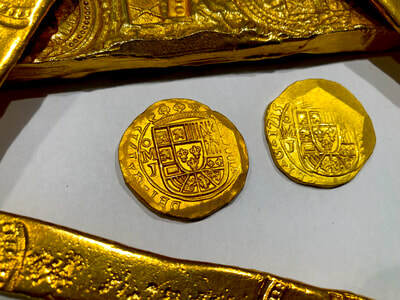 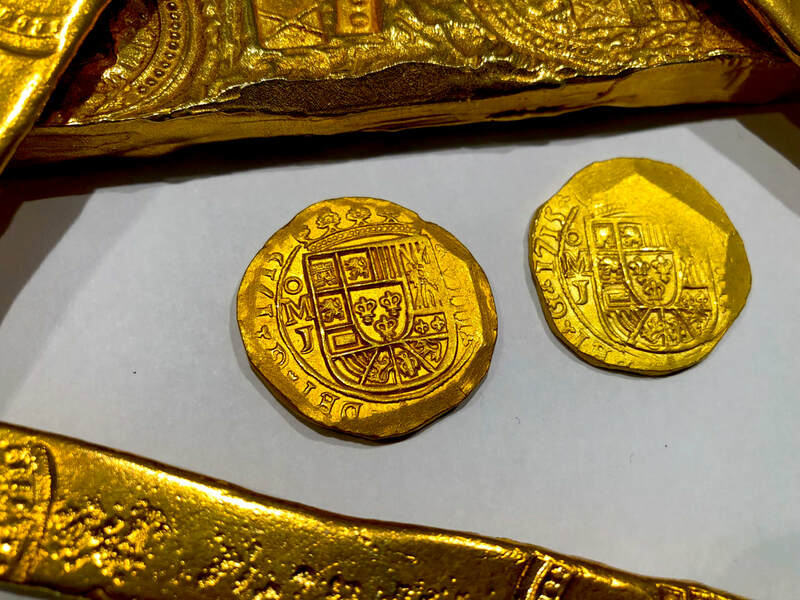 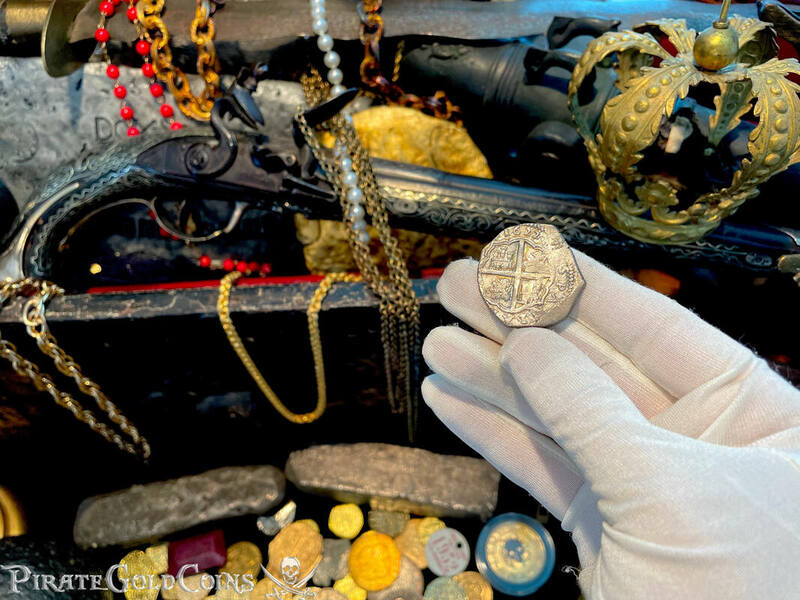 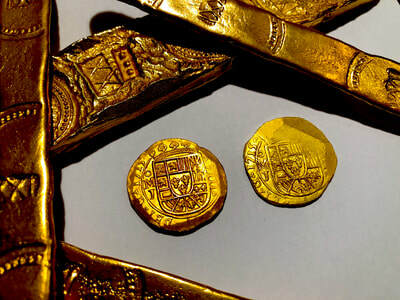 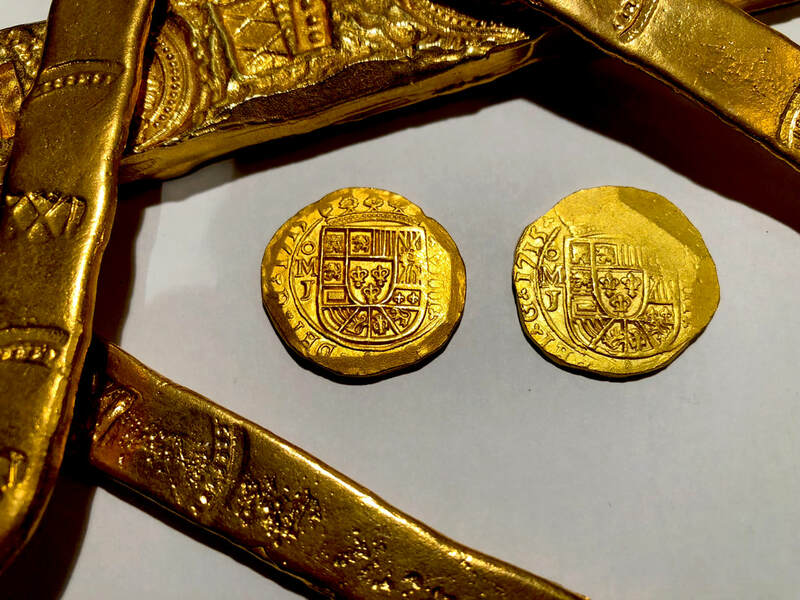 Every Collector dreams of owning a Dated “1715 FLEET” Shipwreck coin; but to Own a “FULL 4 DIGIT DATED” Gold Doubloon from the 1715 FLEET shipwreck is almost to much to dream ~ yet here it is! 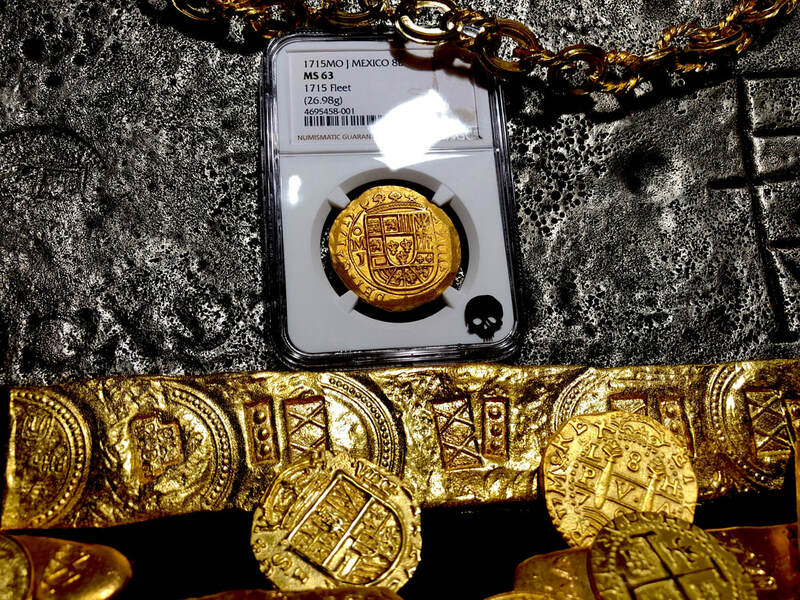 I Acquired this piece RAW and had it Certified by NGC. 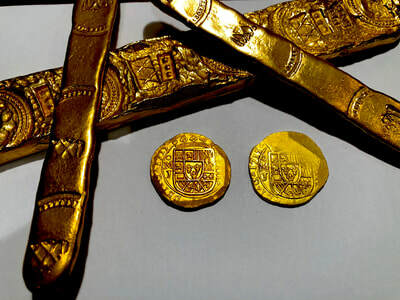 (Cal.109, Cal Onza 398).